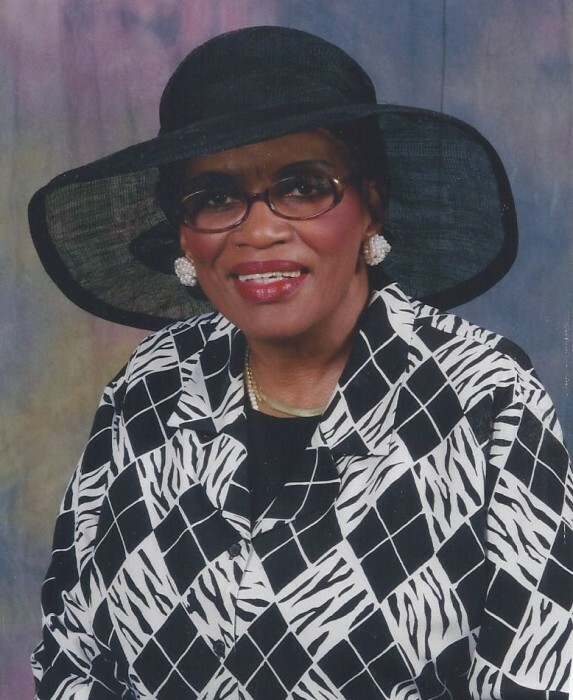 Obituary for Rebecca Emma (Archie) Hunter | Hairston Funeral Home, Inc.
Our beloved, Rebecca Emma Archie Hunter exchanged her earthly life for life eternal in her home surrounded by her loving family on, Wednesday, September 19, 2018. “Emma” was born in Rowan County on, February 22, 1947 to the late, Rayfield (Rube) Archie and Mamie Hairston Archie. She was a graduate (Valedictorian) of Dunbar High School, Class of “1965” and furthered her education at Rowan Cabarrus Community College and Livingstone College, where she pursued her goal to become a nurse. She was employed as a staff nurse at Rowan Regional Hospital for 40 years, retiring in 2009. Emma was a licensed Registered Nurse. She dearly enjoyed working in the field of nursing and was a mentor to many entering the health care field. She was a true advocate of education for the youth at Gethsemane and the Community. As a young child she attended Jerusalem Baptist Church for many years, before becoming a member of Gethsemane Missionary Baptist Church later in life. As a dedicated member of Gethsemane Missionary Baptist Church, she participated in numerous ministries and was assigned the position as “head” of the nurse’s ministry. She assisted many members, during church services who may have fallen ill while worshipping. She loved being helpful to people. She was also a frequent “traveler”, along with her husband, Bernard to numerous church conventions, special trips and one of her favorite events, Lott Carey. She was also a missionary, and participated in the making of dresses for young girls in Haiti after a devastating earthquake hit the island a few years ago. In the community, Emma was a member of the Hairston Clan Family Reunion and until her passing remained as the treasurer. She was a devoted supporter and volunteer administrative clerk at Hairston Funeral Home, Inc., for many years. She was an active member of Alpha Alpha Zeta Chapter of Zeta Phi Beta Sorority, Inc., Salisbury for many, many years and sponsored many young ladies, who were introduced to society as debutantes. She thoroughly enjoyed her role in the sisterhood of Zeta. During her tenure as a registered nurse at Rowan Regional Hospital, she was a supportive financial donor for many causes at the hospital. In “2005”, she was honored by the “Great 100” Nurses of North Carolina, an honor that she was very proud to receive for her years of dedicated service in the field of “nursing”. From every stage of employment, in the community, in her church and for anyone who knew her, Emma was best known for her cheerful manner, giving spirit, her engaging smile and encouraging words to everyone, especially, young people! In addition to her parents, she was predeceased by her sister, Laura Lizzie Hairston. She leaves to cherish her memory her husband, Bernard E. Hunter of the home; daughter, Cassandra “Sand” Walker of Brooklyn, New York, grandson, Preston “Trey” Wallace of the home, sisters; Barbara Hairston, Hazel Chambers and Rev. Ruby Steele, all of Salisbury; and brother, Harvey R. Archie, Sr., of Salisbury; Alonzo Hunter (Rachel), of Salisbury, Mable Burns, Estell Salters, and JoAnn Hunter all of Roanoke, Va.; god-grandson; Larry D. Jones, Jr. of Salisbury, special nephew and niece, Tommy and Velveeta Hairston; and many, many dear friends, co-workers, nieces, nephews, cousins, church members and dear friends. Emma is absent from her earthly home, but has entered the presence of the Lord. Rest in Peace! Service: Monday, September 24, 2018 at Gethsemane Missionary Baptist Church, 719 S. Caldwell Street, Salisbury, NC. Visitation: 12:00 noon. Funeral: 1:00 p.m. Rev. Marcus Fairley, eulogist. Rev. Arnie Woods, officiating. Burial will follow in Rowan Memorial Park. Family will receive visitors at the home, located at 3550 Dogwood Court, Salisbury. Hairston Funeral Home, Inc., is serving the Hunter family. Online condolences may be sent to hairstonfh.com.